Both Walton and Pope High Schools host Dodgen students for 8th grade night! This is an exciting evening, where students get a chance to sit in with the high school bands, and see what high school band is all about. We spend a significant amount of time in class rehearsing the music, and all students are expected to participate in this event. If you have an unavoidable conflict, please let the band directors know. 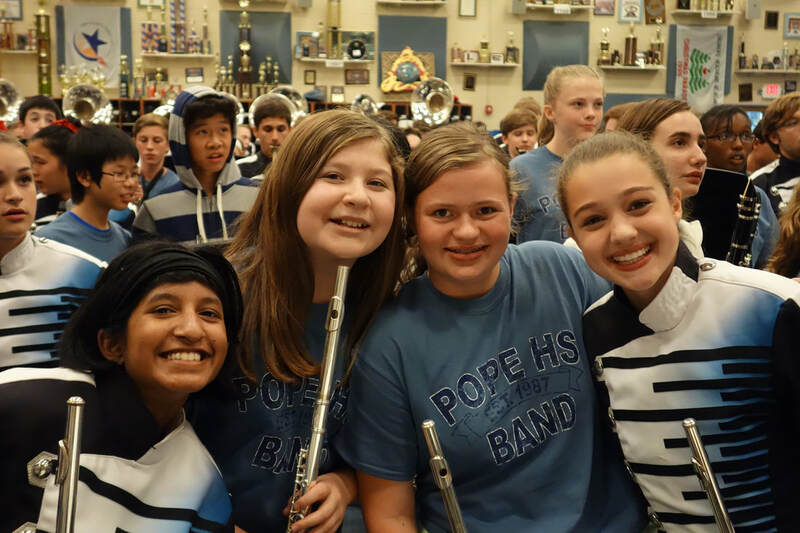 Pope 8th Grade Night - September 8th, rehearsal September 6th. Permission form due 8-29!